Highest benefits on BR-V; upto Rs 90,000 on exchange of older vehicle. Amaze gets free extended warranty and a three-year maintenance plan. 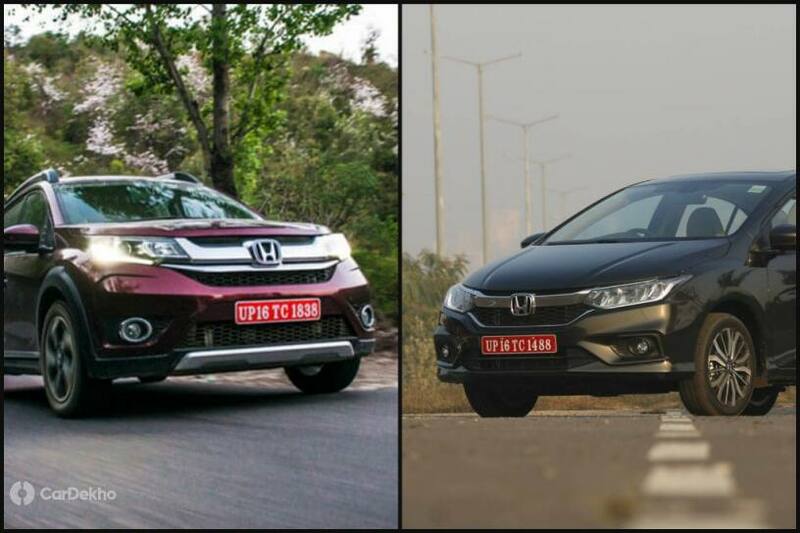 Benefits of upto Rs 40,000 on the Jazz and Rs 52,000 on City. Honda is also offering additional benefits to select corporates. There are additional offers for select corporates. For those details, please contact your nearest dealer. Honda Brio: There are still stocks remaining for the now discontinued Brio mid-size hatchback with benefits upto Rs 19,000. However, these offers are on MY2018 cars which are likely to fetch a lower resale value. Honda Amaze: This sub-4 metre sedan is Honda’s entry-level model and bestseller right now. It is being offered with free 4th and 5th year of extended warranty over the standard 3 year/unlimited kilometres warranty package. For those looking to exchange their current car for a new Honda Amaze, there is an exchange bonus as well but you will need to contact your nearest dealer for more details about that offer. The Amaze is also being offered with Honda’s 3-year care maintenance package, which allows access to pre-paid maintenance services from Honda, irrespective of any rise in cost of parts or labour. However, this maintenance package is for non-exchange customers only. Honda Jazz: The premium hatchback is available with benefits of upto Rs 40,000 in total, which includes first year insurance at Re 1 and an exchange bonus of upto Rs 15,000. Honda City: Honda’s renowned compact sedan is also included in these April offers. The first year of insurance at Re 1 can offer savings of upto Rs 32,000 but if you exchange your old car for a new City, there is an exchange bonus worth Rs 20,000 too. Honda WR-V: The Japanse carmaker’s Jazz-based rugged crossover can be had with benefits of upto Rs 40,000. Honda BR-V: The total benefits available on the BR-V can go up to Rs 90,000 if you exchange your old car for the new one. If not, the benefits still add up to Rs 60,000. Note: Offers are valid till April 30 and may vary from dealer to dealer. Please contact your nearest dealer for more details.